The outgoing Democratic chairman of the FCC says 'zero-rated' streaming services from AT&T and Verizon likely violate net neutrality rules, but that might not matter when Republican Ajit Pai takes the reins of the commission later this month. Verizon Wireless and AT&T thumbed their corporate noses at the FCC this week. Outgoing Chairman Tom Wheeler and his staff found that the two telecom giants likely violate net neutrality regulations by letting customers stream proprietary video without it eating into their monthly data allotments, a practice called "zero rating." 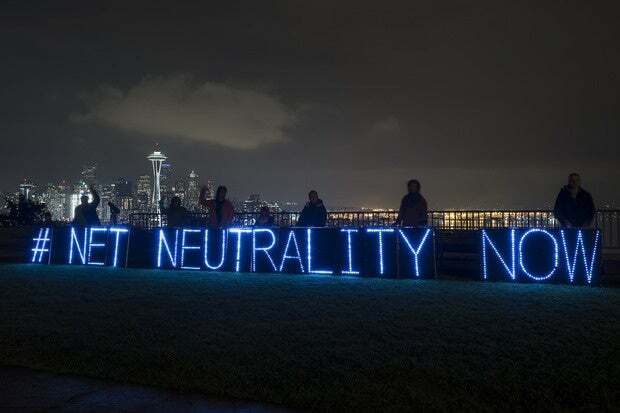 However, Wheeler's last shot in defense of net neutrality won't have much of an impact. When Wheeler leaves the commission on Inauguration Day, the balance of power in the FCC will shift to Republicans, who have said that they can't wait to kill net neutrality. With net neutrality off the table, more and more carriers and ISPs will likely launch their own zero-rating programs. Everyone likes free stuff, so it's clear why carriers use zero rating as a way to win new customers. But it's actually a threat to competition, according to Wheeler, and will ultimately hurt consumers. By favoring video on its DIRECTV service, AT&T puts other video providers, particularly startups and smaller players, at a serious disadvantage, Wheeler wrote in a letter and report that he sent to seven Democratic senators. Verizon's smaller, zero-rated Go90 service raises similar — though less serious — concerns, he wrote. However, T-Mobile, whose Binge On program started the zero-rating controversy, got a pass. Unlike AT&T and Verizon, T-Mobile doesn't own a video service, and it allows any and all offerings that meet its technical standards to stream without using customer data. T-Mobile also doesn't charge streaming providers, so in theory, even small companies can compete on equal grounds. "Given the powerful economic incentives of network operators to employ these practices to advantage themselves and their affiliates in various edge service markets, staff is concerned that absent effective oversight — these practices will become more widespread in the future," Wheeler said. The man who's expected to fill Wheeler's chairman role was quick to brush off the finding. "I am confident that this latest regulatory spasm will not have any impact on the Commission's policymaking or enforcement activities following next week's inauguration,” said Ajit Pai in a press release.